She delights in sharing her thoughts on how sewing gave her confidence to enter pageants, to work in the media spotlight, and to start her latest endeavor; a line of soft, subtle yarns for knit and crochet enthusiasts. “Confidence comes from making something,” she says, “If you have self-esteem issues, you should go out and make something!” It certainly has worked for her. Born in Dalton, Georgia, Deborah began sewing when she was 5 years old, making beautiful clothes for her Barbie doll. In junior high, if she wanted something fashionable, she made it. By high school, she made her own clothes and was most proud of her prom dress. When she married, she made all the bridesmaids’ dresses and the junior bridesmaid’s outfit. She perfected her sewing to skills of couture sewing. “Sewing a couture piece is hard; interviewing the president is a piece of cake!” says Deborah, whose dad worked in the carpet industry in Dalton, dubbed “The Carpet Capital of the World.” She learned to knit and crochet using carpet yarn, which was a little rough, but as she notes, that was all she had. Her own yarn, the Deborah Norville Yarn Collection, is a line of high-quality yarn produced in partnership with Premiere Yarns. Quite a change from carpet yarns! Just love that Deborah and, I really like her yarns! I have a “work in progress” right now on my needles! Happy to hear that Deborah Norville’s talent as a sewer won her the title of Miss Georgia. Talent comes in all different things. Not every one can be a singer,dancer,musician, etc. Deborah Norville is a talented lady. 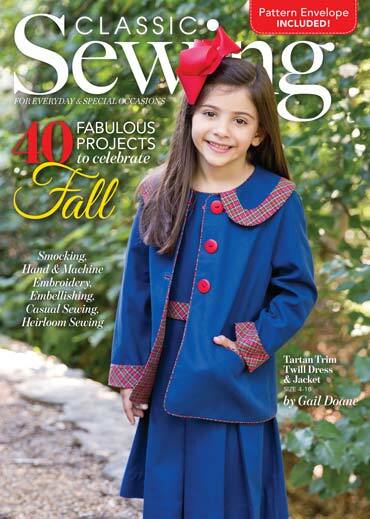 To sew at the age of 5 is wonderful.She has had a successful career. What an inspiring story concerning Ms. Norville. Was not aware of Deborah Norville yarn. How funny. I have admired Deborah’s yarn for a long time and recognized her skill with knitting and crocheting but did not know she was on television. It makes me wonder where on earth have I been and what else have I missed. Thank you for highlighting her talents! I have been using DEBORAH NORVILLE yarns for years. They are wonderful!Don’t understand why called a new adventure for her? I enjoyed Deborah on the morning show. So glad to hear of her adventures since leaving the tv shows. She always seemed down to earth and real. Always wondered what happened after she left the show . So glad to hear she is fullfilling her dreams. I have enjoyed seeing Deborah on TV, but knew nothing about her past. Thanks for the interesting bio!